Coffee producers concerned by devastating consequences of current international prices. The WCPF will work with the coffee industry to identify and implement actions to improve social and economic situation of farmers. 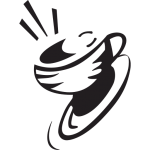 The WCPF asked the International Coffee Organization to coordinate initiatives that include increase of consumption in emerging markets and producing countries. Mexico City, April 12, 2018 – The executive committee of the World Coffee Producers Forum (WCPF)* met in México City on April 8th and 12th, 2018, to analyze and discuss several topics concerning the sustainability of the global coffee value chain, especially the constant decrease in the income of coffee growers during the past 3 decades, that compromises their economic sustainability. The devastating consequences of the current coffee prices on producers drew special attention. Among the topics discussed was the need to take serious actions to improve producers’ income, through joint work with the rest of the supply chain on initiatives that will translate into actions to -among others- expand consumption, increase coffee prices, address the consequences of climate change and enhance productivity in coffee producing countries. As agreed during its last meeting in Colombia in July 2017, the WCPF commissioned a study to Professor Jeffrey Sachs (Special Advisor to the United Nations General Secretary on the Sustainability Development Goals (SDGs) and director of the Earth Institute at Columbia University), to conduct research in Economic and Policy Analysis for Improving Smallholder Coffee Producers’ Incomes. The initial structure of the study was presented by Professor Sachs to the delegates of the ICO gathered in México, and partial results and findings will be presented in September 2018 and March 2019. The final report will be presented at the 2nd World Coffee Producers Forum in July, 2019. 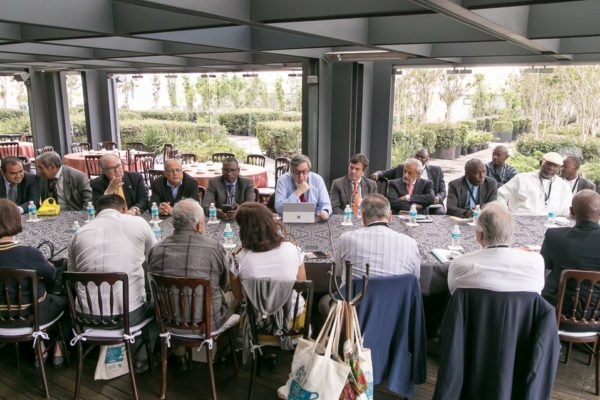 The representatives of the WCPF will ask the International Coffee Organization (ICO) to play a key role to implement some of the initiatives, such as promotion of consumption in producing countries and emerging markets and facilitate the dialogue among all the actors in the coffee chain. It was agreed to start the process to formalize the structure of the WCPF as a not-for-profit organization that will address and raise awareness of the challenges of the coffee value chain, especially those related to the economic and social situation of the coffee growers and will look for mechanisms that will improve their social and economic situation. “We need to ensure that coffee production is sustainable and profitable while making sure that that there will be a strong global demand for our product. Coordinated actions among producers, producers’ associations, the coffee industry and the ICO to increase consumption in emerging markets and producing countries are crucial”, said Silas Brasileiro, President of the Conselho Nacional de Café of Brazil. Ishak Lukenge, Board Member of the African Fine Coffees Association (AFCA) said that “at the current price levels, coffee is just not economically sustainable for millions of coffee farmers in Africa and all over the world. We are all co-responsible to make the coffee value-chain sustainable as a whole, but also each one of the links that make it”. Ric Rhinehardt, President of the Specialty Coffee Association SCA, underscored that “today’s consumers are discerning and demand excellent quality, but also the assurance that their coffee is being produced in a sustainable manner”. B. Bopanna, representing the India Coffee Trust, said that “India’s middle class is comprised of 450 million people. We believe that if we expose them to the quality and benefits of coffee, we will increase consumption in our country significantly”. *The 1st World Coffee Producers Forum met in Medellín, Colombia, in July 2017, with close to 1,500 attendees from 41 countries. The 2nd World Coffee Producers Forum will meet in July 2019. Representatives from the following national and regional organizations and countries attended the meetings in Mexico: African Fine Coffees Association (AFCA), Agence de Cafés Robusta d’Afrique et Madagascar (ACRAM), Inter-African Coffee Organization (IACO), National Agriculture Exports Development (Ruanda), Coffee Industry Corporation (Papua New Guinee), Uganda Coffee Development Authority, Coffee Directorate of Kenya, Commodities Fund of Kenya, Ethiopia, Burundi, Office National du Cacao et du Café (Cameroon), Brazil Specialty Coffee Association (BSCA), Conselho Nacional do Café do Brazil, National Coffee Association (USA), Instituto del Café de Costa Rica (ICAFE), Instituto Hondureño del Café (Ihcafé), Unión de Cooperativas Agropécuarias Ltda. (Honduras), Asociación Nacional de Caficultores de Honduras, Asociación Hondureña de Productores de Café, Fondo Cafetero Nacional de Honduras, El Salvador, India Coffee Trust, SAGARPA (México), Amecafé (México), Sistema Producto Café de México, Federación Nacional de Cafeteros de Colombia and the Specialty Coffee Association (SCA, USA and Europe).